While it’s maybe not the most recognisable British brand of all time, it’s hard to deny that the Henry hoover has fantastically represented – for many years – British engineering, construction quality, and convenience. The Hetty hoover is every bit as reliable, and presents a fantastic option for those of you with smaller homes and modest vacuuming needs. We recently got our hands on the Hetty and wanted to share our enjoyable experiences with it. Over seven million Henry hoovers have been made since it was first put into production by Numatics International in 1981. 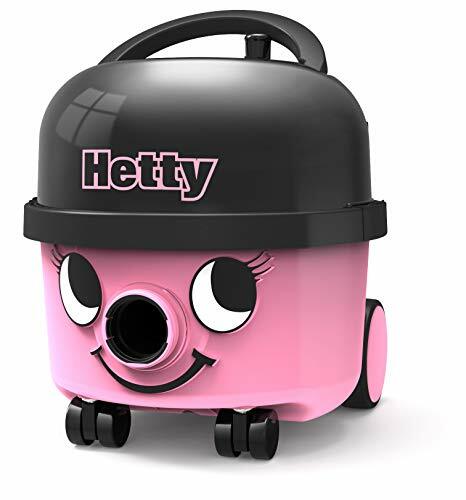 In the time that has since passed, they’ve made some minor iterative improvements, but – for the most part – the Hetty today is the same as the Henry we first met almost four decades ago. When ours arrived, it was well packaged. In the box, the hoover was accompanied by several extensions (including a crevice tool, a double taper hose adaptor, an upholstery nozzle, and a couple of brushes as well). Accompanying those were an extension tube and a conical hose, meaning that you’re essentially provided with everything necessary to hoover your home with ease. 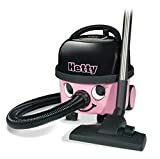 One of the big selling points of the new Hetty hoover is its energy efficiency; with an estimated annual energy consumption of just 27.9 kilowatt hours per year (depending on your usage, obviously), it’s not only the modest price tag which will save you money, but also the reduced energy costs. Likewise, the TriTex Filtration system helps to ensure that the passageways from the nozzle of the hoover to the self-sealing bag are as clear as possible; this means that, unlike with some other hoovers, you’ll need to manually clear the hoover tools less often. In terms of its size, this hoover is fantastic for small home owners. It’s light, portable, and the form factor of the vacuum is fairly cube-shaped. There’s also on-board storage for extension tools, meaning they’re less easily lost in that storage cupboard you rarely tidy. 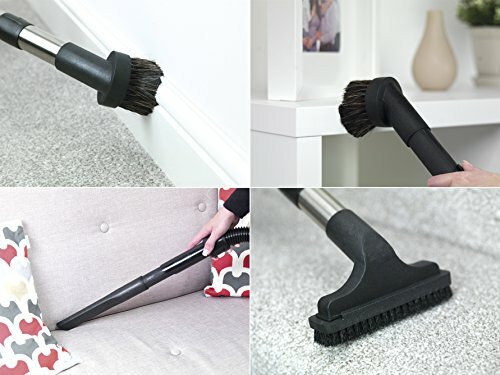 Speaking of the tools, Numatic have done a fantastic job of providing everything you need for quickly vacuuming your home – whether you’re using the Hetty for carpeted floors, or laminated hardwood, you’ll always have the tools at hand for tackling any obstacles. As we mentioned above, the standard Henry bags (Numatic NVM-1CH) are self-sealing, and capable of storing up to five times more intake than conventional bagless hoovers. As we expected, this hoover is fantastic at quickly picking up dust and debris in a variety of situations. The combi-tool storage system – as well as the fantastic suction – has made it incredibly easy to not only quickly run around the house with, but also to use for one of those oh-so-enjoyable car cleanings. Even though the Hetty does require bags – which, on paper, might look like a bit of a concession – we found it to be surprisingly more convenient to empty than the Dyson hoover we regularly use. With bagless vacuums, it’s easy to accidentally spill and even breathe dust when you’re trying to empty them. Thanks to the way the bags have been designed, they’re sealed before they ever leave the hoover, meaning that you’ll be much less likely to have those kinds of issues. All in all, the Hetty is a fantastic cylinder hoover and one that would suit anyone who needs a compact, reliable, and efficient vacuum. These things are built to last, and we didn’t have a single issue with it in the time we used it. Additionally, it also happens to be significantly cheaper than other big-name hoover brands, and would make a fantastic housewarming gift for those of you feeling particularly generous!